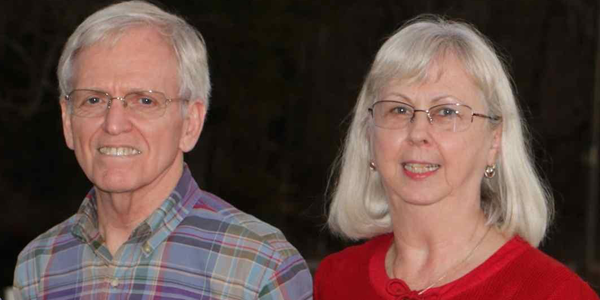 Linda Blanchard Sparks, '67, may have lived across the country, in Arizona and Texas, after graduating from Meredith College, but her onyx class ring has always been one of her most cherished possessions. Her 30th reunion weekend in 1997 was the start of her reconnecting with Meredith and one of the reasons she and her husband, Terry, moved back to Raleigh in retirement. "The distance definitely affected my enthusiasm for remembering Meredith, but the more involved I became, the more I understand the value of a Meredith education over many others," says Sparks. This realization recently led to a charitable gift annuity as a way to help Meredith College. Being able to customize a gift annuity to fit Sparks and her husband's circumstances was very helpful for them. The income from a gift annuity is guaranteed and having Meredith as the beneficiary was the perfect way to say thank you to Meredith College. In addition, depending on their life span, they not only may recoup what they gave, but might get back some money. "I was a tax professional before my retirement and thought this might be a good option for us to give a gift to Meredith," says Sparks. "We liked the idea of helping Meredith in a way that helps us as well." The Sparks also support the Class of '67 class scholarship fund, because they feel that international study can add so much to the educational experience. They had the opportunity to live in France for three years where Mr. Sparks worked on a project that included companies from several countries. "It was a very special experience and we learned a lot from living and traveling abroad. Helping a student have a chance to experience a different culture and learn how to travel is worth much more than just taking a class in another country," says Sparks. Sparks path to Meredith did not come directly after high school. From her hometown, Turkey, N.C. Sparks decided she wanted to do something different and attend school in the mountains although her parents wanted her to attend Meredith. After two years at Mars Hill College, her parents convinced her to transfer to Meredith. Sparks majored in Home Economics, enjoyed the beautiful campus, and the wonderful friendships she made. She has no regrets about her Mars Hill experience, but feels she missed out on a lot of the college traditions and bonding with classmates at Meredith. "One of my stronger memories was being outside in the early fall with a pleasant southerly breeze bringing the smell of bread baking from the bakery across Hillsborough Street," says Sparks. "But my best memory is a friend that introduced me to my husband Terry on a blind date." Sparks feels thankful that her parents were so committed to educating their children and that they sacrificed tremendously to make that happen. Being able to help Meredith College continue the mission to educating young women is important for them to pass on. "I was ecstatic when my grandniece decided to attend Meredith a few years ago," says Sparks. In May, Sparks will celebrate her 50 year reunion and is looking forward to her induction into the Golden Oaks Society. "I have enjoyed being on the reunion planning committee and hope many of my classmates attend to renew acquaintances, see all the changes around campus, and hopefully become more involved in the future of Meredith College." says Sparks.